Port Authority Waist Apron with Pockets makes a great gift for that cook in your life! Features 3 front pockets with a Teflon finish for added stain protection to keep you safe from any mess. Do you have a teacher to whom you want to show your appreciation? Do they always have a million things to carry around at one time? 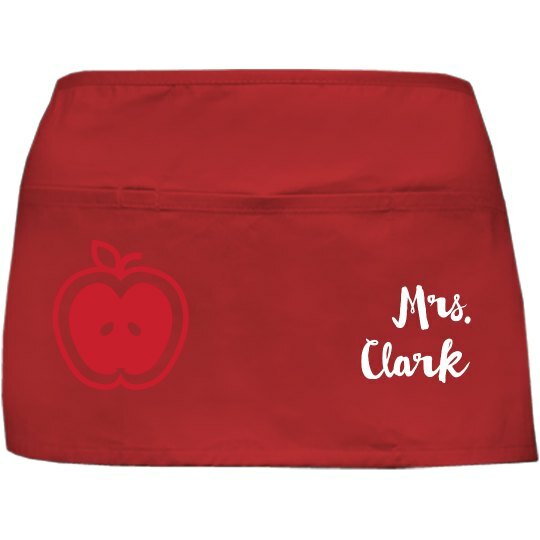 Then you should get them this cute teacher half apron! Personalize it just for them with their title and last name, and you have the perfect gift finished up and done!